Attending ACRL 2019 this April? You and your colleagues are invited to attend our reception on Thursday, April 11, held at Lola Bistro from 5:00 pm – 6:30 pm. 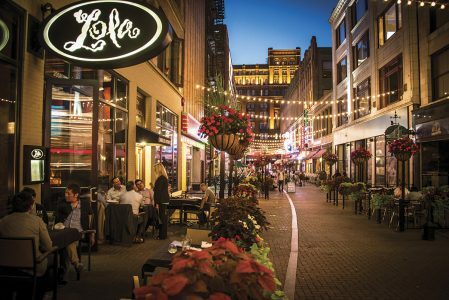 Enjoy an evening of networking with scholars, publishers, and ATLA staff at Cleveland’s crown jewel. Lola is located at 2058 E. 4th Street a short distance from the convention center. Find Atla staff at exhibit booth #235 during Exhibit Hall Open hours. Come by to pick up some swag, get questions answered, and learn what’s new with Atla. You are also invited to the ATLA and EBSCO Breakfast Reception. Learn more.